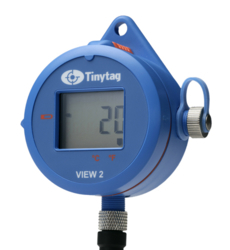 The TV-4020 monitors temperatures from -40 to +125°C using one of our range of thermistor probes, making it ideal for awkward to reach areas or where a fast response time is required. The unit has a display, and is tested to BS EN 12830 to meet the demands of frozen and chilled foods storage and transportation. 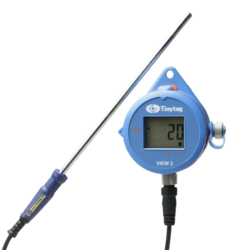 The thermistor probe range includes different designs, specifications and cables to meet varied demands. The range includes products for fast response temperature profiling; pipework monitoring; fridge and freezer monitoring; for use in composting and even armoured units for process applications. Many are waterproof and dustproof to IP68 making them suitable for damp, dirty or submerged locations.